As we start a new year, I strongly encourage you to consider volunteering in an great program serving one of the most complex and critical issues in our city. The Green Team Hindley St Project is a unique and fantastic program serving our city, by helping to reduce alcohol-related harm in Hindley St late at night by engaging, informing and empowering young people. The Hindley St Project approach builds on the enormous success of the Green Team at Schoolies in Victor Harbour over the past decade. It’s hard work, but it does work, thanks to the hundreds of volunteers from all over South Australia. I was involved in the initial pilot of this project and can attest to the support of SA Police, and the Adelaide City Council. Encounter Youth are making a real difference, with a great staff led by Director Nigel Knowles. You can read all about the Hindley St Project here. 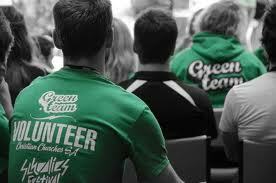 Please consider volunteering for the Green Team, or if walking the streets all night is not your thing, consider making a financial donation to this marvellous, innovative organisation.